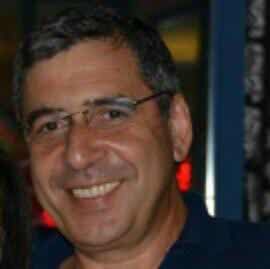 Prof. Gabby Sarusi is a faculty at the Photonics and Electrooptics Engineering Department at Ben-Gurion University. His main areas of researches are quantum structure photonic devices, band-gap engineering, and SWIR to Visible Upconversion and Augmented Reality. He is co-founder of several startup companies: Imagine-AR, Ride-on, NanoSono, TechSee and SenSWIR. Prior to his academic and entrepreneurship carrier, he worked at Elbit-System–Electrooptic (ElOp) as V.P., Head of Space and Air Imagery Intelligence Division, Chief Scientist and Director of Thermal Imaging System. He holds double B.Sc. with honor from Ben-Gurion University, double M.Sc. with honor and Ph.D. from Tel Aviv University in Physical-Electronics. He did his postdoc. at AT&T Bell Labs. and NASA-JPL.